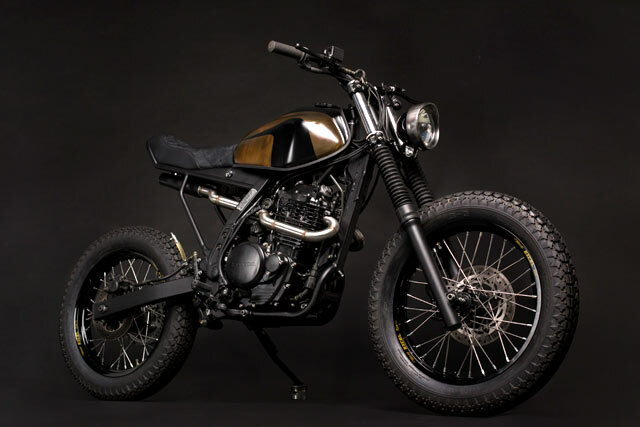 France Atelier Medusa are known for their post apocalyptic designing on the bikes be it their Yamaha TW or about this Honda NX 650. 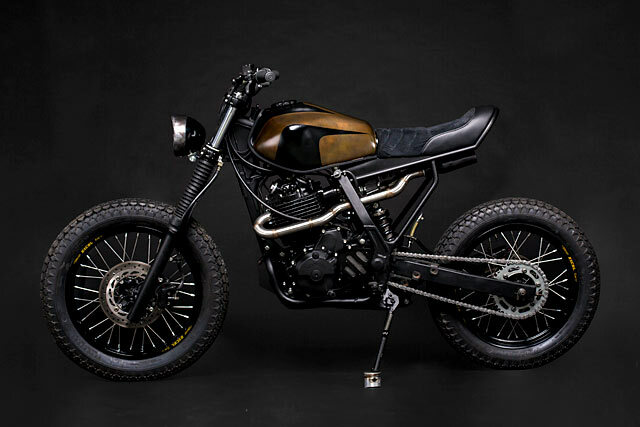 Today we are featuring their one of the most coveted bikes, the apocalyptic Honda NX 650 Dominator Scrambler. For the modification they disassembled the complete bike and remove the plastic. They wanted something minimalist and pure, that is to say the opposite of what it was when it left Honda’s factory in 1988. After their TW project, they were looking for something more powerful, functional and basically with a more aggresive riding behaviour. That is why they replaced original 17” and 21” rims with 18” and 19” Excel ones, with Firestone ANS Military tires. 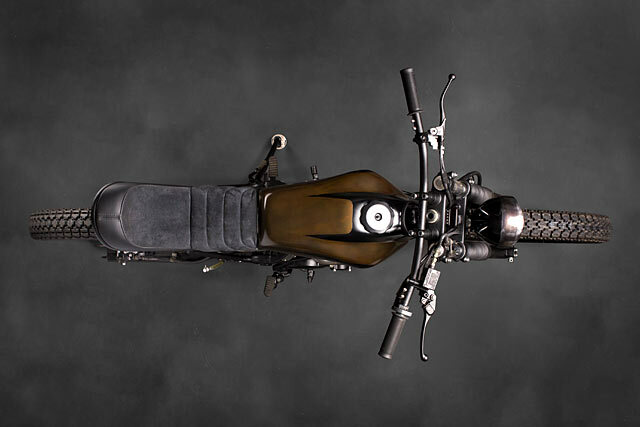 The shock-absorbing system was modified as well, a mount was forged to slightly increase the height of the seat. Stainless steel exhaust lines were custom-made by them. 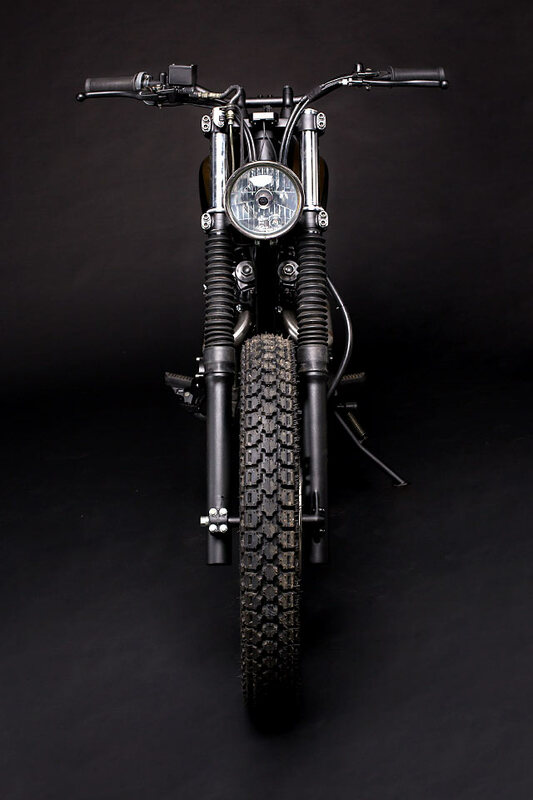 The cable bundle was entirely rebuilt, which integrates a Motogadget M-Unit and mini speedometer. 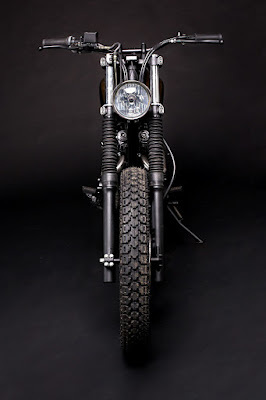 The headlight comes from a Harley Davidson. The famous RFVC engine was inspected and renewed in order to make the bike and its pilot vibrate for another 50,000 kms. The tank is probably the key part of this build, they had to find a unique color for it. That is when Guillaume, their mentor in metal shaping, showed them a noble metal treatment process. It uses a rare acid that reacts with steel and gives it incredible hues (blue, pink, purple). They managed to get this brown which has purple shades, depending on the light. About 15 hours of work and 2 tanks were necessary to get this unique color. They used the same process on the headlight trim ring with a lighter hue.